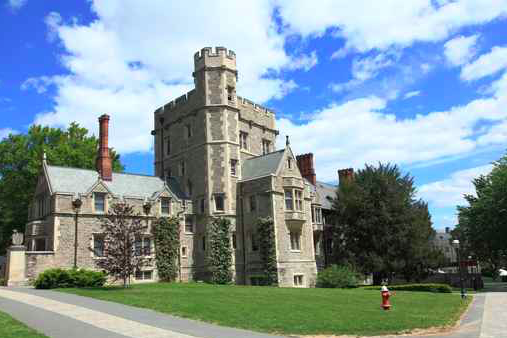 Princeton University is among several colleges across the country investigating the source of anti-Semitic flyers found on school printers. The Ivy League institution said in a statement Friday the single-page messages were sent anonymously to several of the New Jersey university's networked printers. "These flyers are offensive and contrary to the values of the University, which is committed to creating and maintaining an environment free from discrimination and harassment," said Michele Minter, vice provost for institutional equity and inclusion, in a press release. "Princeton attaches great importance to mutual respect, and we deplore expressions of hatred directed against any individual or group." The college did not say what specifically was on the flyers. However, the Associated Press reports they were addressed to "white men" and included disparaging comments about Jewish people. The flyers also included links to a neo-Nazi website and were sent to printers at Brown University in Rhode Island, the University of Wisconsin-Milwaukee and the University of Southern California in Los Angeles, according to AP. Princeton said they are working to find out who sent the messages and that they have contacted the FBI.